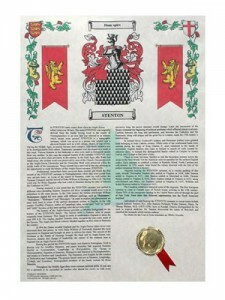 The Armorial History with Coat of Arms is our most popular heraldry products. It is printed on A3 paper and the Armorial History combines our time tested Surname history with a full colour rendition of the earliest coat of arms once associated with a bearer of the surname. The unframed version being packaged in a postal tube for safe dispatch to you. To research your family Surname History, please use the search box on the left.